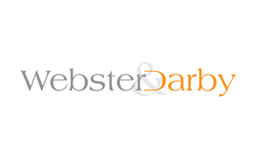 Webster & Darby have over 15 years experience in the estate agency business specialising in lettings, sales and property management. We're a young and enthusiastic company that wants to impress and make its mark. While we're happy to provide short-term solutions, ultimately we're out to build long-term relationships. Offering a fresh approach to the industry we thrive to be the best at what we do however, still committing ourselves to a friendly one to one service. Our purpose is to let or sell property in the fastest time, for the best price, in the easiest and most stress-free way as possible, helping everyone achieve their ideal home.